Did you know that the majority of the water you use in your home is used outdoors? There are many ways to use water wisely, and Nutri-Lawn is at the forefront of conservation with water consumption-friendly systems using the latest technologies to maximize your water, your time and your money. The following are some excellent resources to better understand the importance of water conservation, as well as literature on some of the outstanding devices available. HUNTER is known as the Irrigation Innovators and for good reason. Offering a variety of water saving devices - water conservation techniques and technologies are at your finger tips. 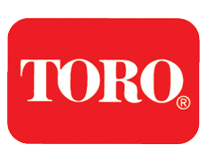 The TORO Company is an irrigation industry leader and offers some proven and innovative concepts for water conservation that can make a big difference. RAINBIRD's ET Manager has caused quite the stir in the market. Saving water with their cutting edge technology has never been easier. Call Nutri-Lawn today to discuss any questions you may have about these new technologies. Water conservation starts with all of us - and Nutri-Lawn is committed to sustaining this precious resource for future generations.